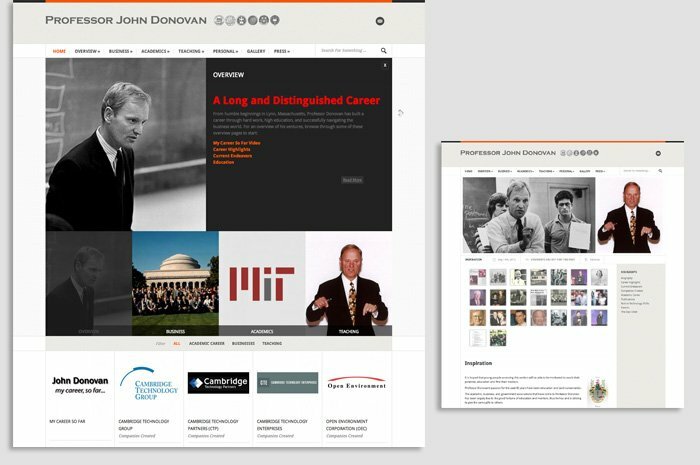 A successful entrepreneur for 40 years, Professor John Donovan wanted a comprehensive history of his academic and professional career to appeal to new business partners and investors. Weighing in at over 1000 images and 75 pages, the site documents his life from boyhood to today. In nearly 20 years, this is the only completed job for which I was never paid.